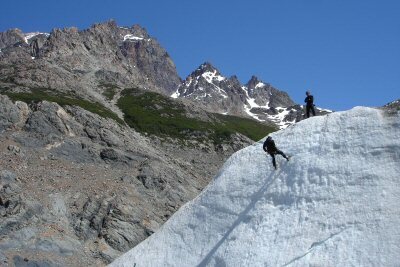 while trekking on the glacier torre in el chalten we came to a ice wall that you could scale with picks and spiked boots. 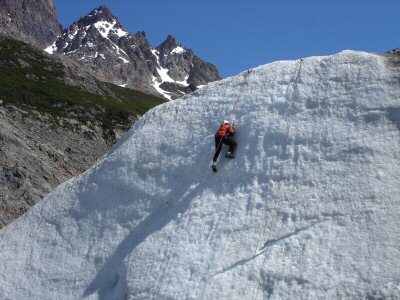 ice climbing...sign me up. 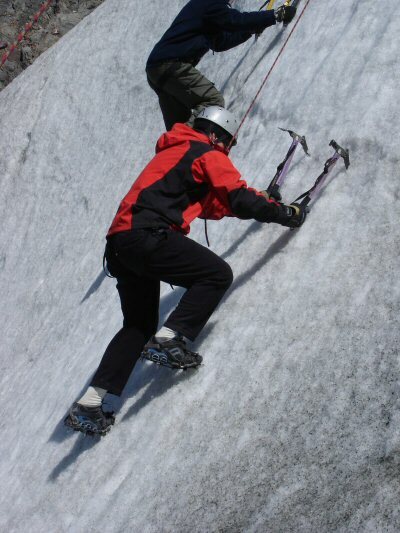 there was a guy climbing next to me and, thanks to the influence of my brother david, i raced the guy to the top. i made it. first. how about that, bro? lauren tried it out as well. 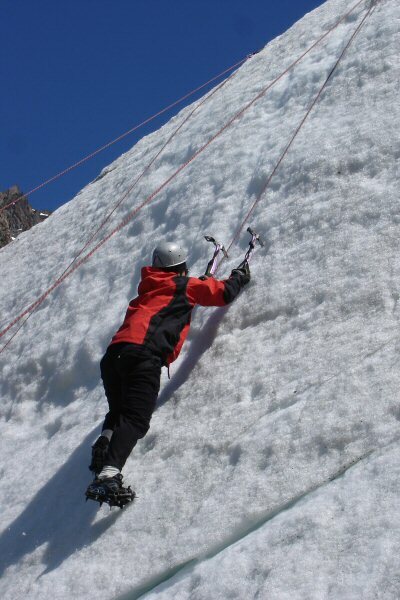 i took this photo of another climber at the top. not a bad view while climbing, eh? after we climbed it was time to head back to town. 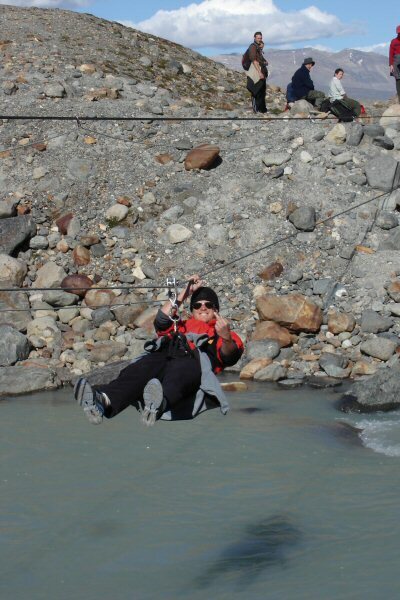 we had to cross the river again on the zip line and i let lauren know what i thought of it. it was quite uncomfortable. 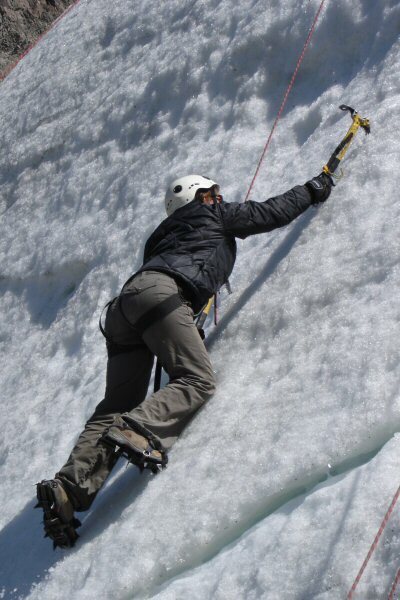 ice climbing, glacier trekking, trekking, mountain biking...it was all part of a week-long birthday celebration for me. 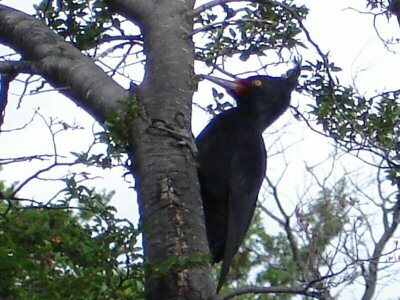 everyone got into it, including this woodpecker. as i said, mountain biking was a part of the celebration but it didn't go quite so well. 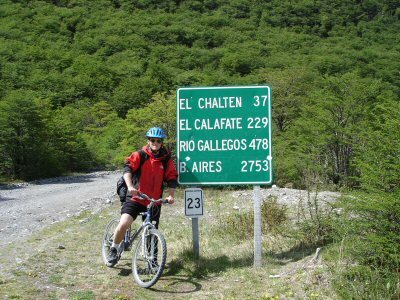 about five kilometers into my 37 k trip back to el chalten i popped the first of three tires. when you get to cycle past stuff like this on your birthday though you don't really mind having to slow way down. 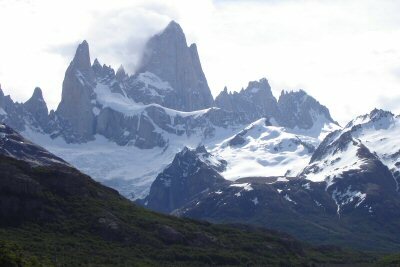 cerro fitzroy in el chalten. 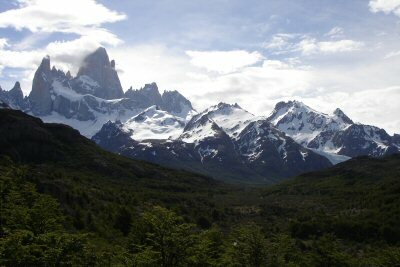 the town of el chalten gave me this peak for my 34th birthday. it's mine now. 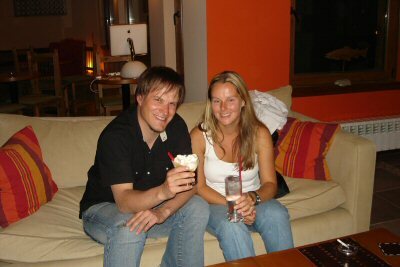 me and my traveling pal lauren at the stroke of midnight on november 15, 2005.
happy birthday to me. 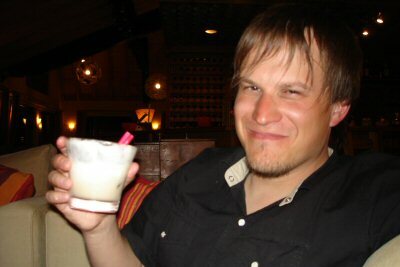 what a white russian it was. what an amazing birthday week it was. what a life it is. thank you, thank you, thank you.